Yes! Yes, you can play too well in a lesson. Think about the best that you have ever played. This was the time that everything seemed easy. The time you felt like you had all the time in the world to hit your shots. The time you almost wanted your opponent to play even better because you wanted to be challenged, and you knew you had the answer. Were you thinking much about the technique of your strokes every time you hit? Each shot you hit, did you think about where the smart place would be to hit your shot? I hope I’m not putting words in your mouth … but no you probably were not. It’s a commonly accepted theory in sports psychology that you play your best in any sport when everything comes naturally and you don’t have to think through things. You are just reacting. The concept of paralysis by analysis is alive. This is where the title of this article comes into play. If you are looking to improve during your lesson, you need to think about what you and your coach are working on. If you are thinking about making a technical improvement during a lesson, you are thinking during your shots. This is not conducive to playing really well, but this is okay! If you play tournaments, school tennis or even in leagues, does it really matter how well you are playing in a lesson? You are trying to acquire and master tools that you can use in competition without having to think about how to do it in competition. Sometimes, casual junior players or an adult player will say to me, “Okay … now, I’m thinking too much. I’m going to play better if I don’t think,” if they miss a couple shots. Speaking for myself, when I played competitively, I almost looked at it as if I was wasting “time in the zone” if I felt this way in a lesson. Yeah, it was fun to hit that point, but since it hasn’t been figured out yet how to be in the zone at all times, I didn’t want to waste my zone time in a lesson where score wasn’t being kept and results weren’t being recorded. The same thing goes for the pre-match warm-up. 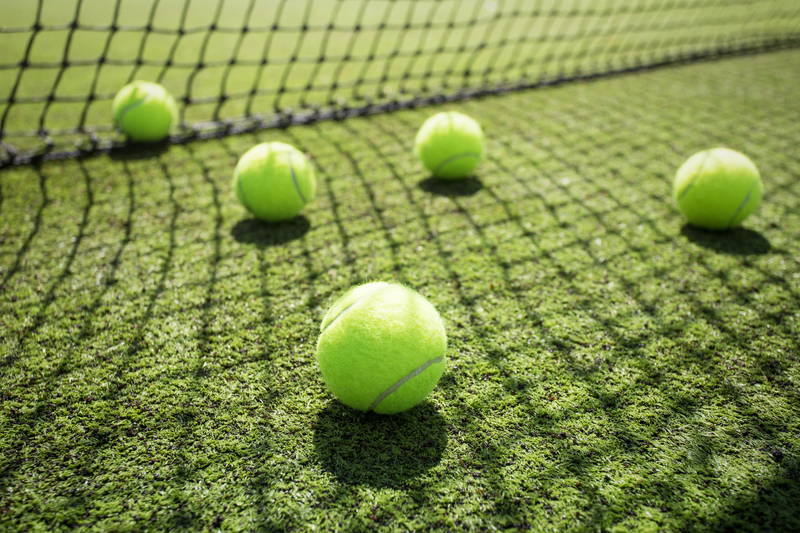 No, you don’t want to feel sluggish and shank balls all over the place, but you also don’t want to hit your very highest competitive state into the match as it starts. The purpose of the warm-up is to sweat, get your mind focused, maybe practice a few combinations and peak with a few points at the end to get yourself to that point playing peak. I wouldn’t recommend crying after the pre-match warm-up or giving a big “Let’s go!” after the end of the warm-up point session … and yes, I have seen both. Use the warm-up to put you on an even-keel emotionally and re-boot. Don’t ever let the warm-up control your emotions. I’ve seen kids play incredibly well in the warm-up and once things go mildly south during the match, it’s like a punch in the face. I have never seen a correlation between the level of play in the warm-up and the match itself anyway. Good luck getting out there and hitting the zone at the right times!